Telehealth is amazing, right? 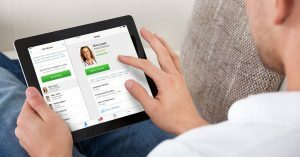 See a doctor online, right over your web cam or smartphone, right away. As in when you actually need to see a doctor. But, of course theres a but. Not all telehealth is quite that good. 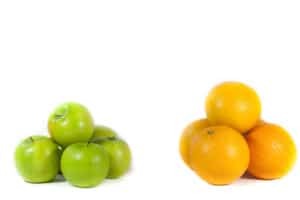 There are a lot of telehealth vendors out there that rely on a call-back model rather than immediate online and mobile video visits. We at American Well think that a phone call with a customer service rep, and a call back from an anonymous doctor a few hours later just doesnt feel like healthcare. Sure, we might be telehealth snobs, but with think something as important as healthcare deserves to be better. And with us, it is. To be clear, we think that there are situations where a phone call is preferable to the alternative  like sitting in the ER in the middle of the night for a cold. But just being better than bad doesn’t make the offering good. There are a few things that we think are absolutely critical to making telehealth a great healthcare experience. In fact, some of these are actually better online than in person. Below are a handful. Check out our Telehealth That Delights slideshare for more. Immediate  In the age of the internet, who wants to wait? And you shouldnt. Ever remember seeing a doctor in less than 2 minutes? Nope, didnt think so. Staffed, highly trained doctors  Doctors practicing medicine online should be committed to it, and good at it. 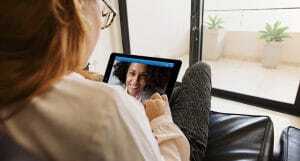 On any device  The choice of how to connect (by video, audio and chat; on the web or by mobile device) should be up to the person seeking care. 24x7x365  Getting sick doesnt always happen during business hours. 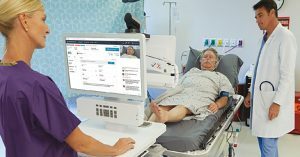 So, telehealth really is great, and we think is the wave of the future. Dont take our word for it. Just give us a shot. For a free visit, click here. Then try the other guys (if you can).